Liam is an Irish born voice-artist with over 10 years experience working in every field of the voice industry. His recent varied audiobook work includes Little Caesar for Audible, A Christmas Carol, The Tempest and Aviation Training. His regular corporate voice-clients include: Shell, HMRC, HSBC, Hilton, Mondelez, Cadburys, Green & Blacks and WKD. He has performed many radio-plays, narrations, animations and documentaries; from the Keith Moon biography to most Shakespeare radio-plays. He is a communication skills specialist and examiner for the Royal College of Psychiatry, Royal College of Surgeons, Royal Scottish College of Surgery and as such is highly fluent in complicated medical reads with Latin pronunciations. He is also a highly acclaimed stage and screen actor. 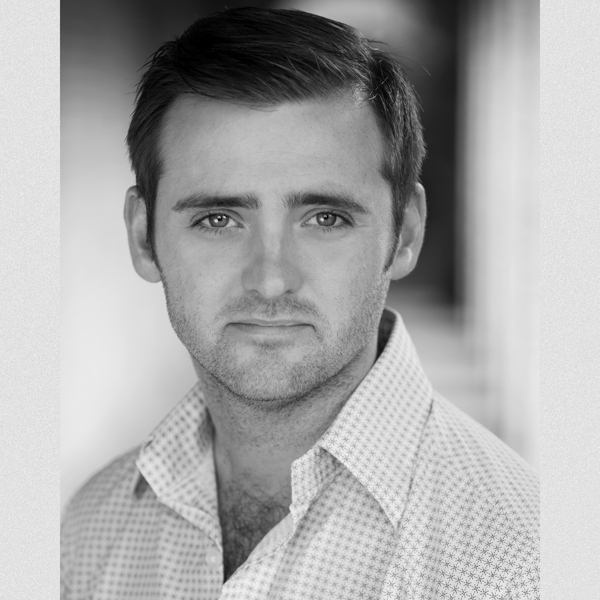 He studied at Lancaster University and then as a classically trained actor at Mountview. He spent his formative years in the Middle-East which has given him an understanding of different accents and cultures and is able to perform many accents to a native standard; including most UK regions, most Irish regions, most of Europe, Australia and North America, (hillbilly, New York, mid-Atlantic, San Francisco, Chicago, etc.) and is also able to create wildly inventive characters. He has lent his voice to some of the zaniest cartoons and animations written, from grumpy old wizards, to heroes, to South-American monkeys and even a sea-horse with a Scottish accent! He is currently the youngest actor to play the lead role of Prospero in Shakespeare’s ‘The Tempest’ in London’s West–End. His recent production of Brecht’s Caucasian Chalk Circle at the Royal Lyceum Edinburgh won 4 prestigious Critic’s Choice Awards. He has worked for the most renowned theatre companies; from The Royal Exchange Theatre (2 Manchester theatre award nominations) to most regional theatres throughout the UK, including Alan Aykbourn’s SJT, New Vic, Oldham Coliseum, Donmar, Dukes, Nottingham Playhouse, Theatre by the Lake and many more. He also played Jerry in ‘Hollyoaks’ and appeared alongside Catherine Zeta-Jones in the Hollywood feature film ‘Death Defying Acts’. His wide-ranging experience has also seen him perform Opera in ‘Rigoletto’. In his spare time Liam is also a musician, having grade 8 on violin, drums, piano and percussion, and spends time with Peg, his Springer Spaniel, out in the Peak District whenever he can get away from the studio!